Produced by Unparalled Suffering Photography, 2017. 17 min. 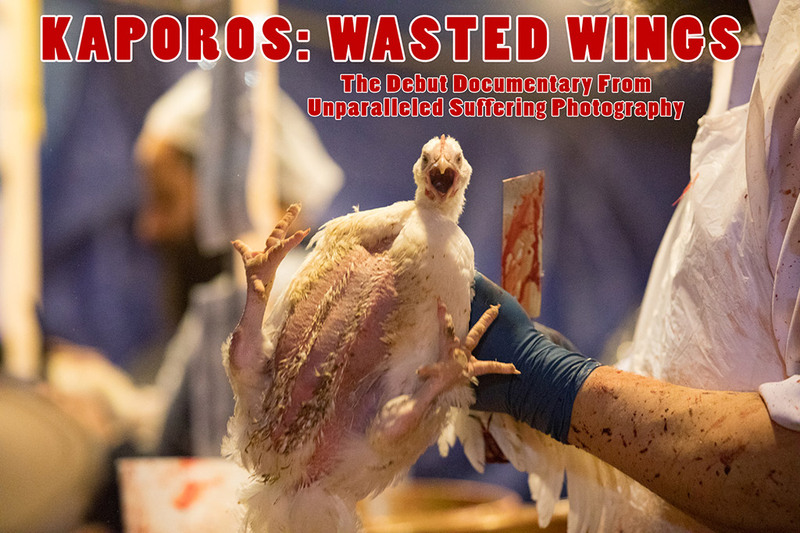 “We have used many photos of Kaporos chickens over the past decade in our campaign to eliminate the ritual, but the Unparalleled Suffering Photography photos have an artistic poignancy in which the artistry and the activism are perfectly matched.” – Karen Davis, President, United Poultry Concerns & the Alliance to End Chickens as Kaporos.